We will become a church more intentionally living out this promise to our members and friends: There is a place for real Christian Community here for you. Just as Jesus told the religious folks of His day that the Sabbath regulations were made for human beings and not vice versa, so we understand that the point of this is not to use people to have a great “small group program,” but to have wide-ranging small groups available for all our people encouraging us all to extend the blessing of Christian Community into every Covenant family home. The spirit in which we desire to live and move, building real caring relationships with one another in Christ, is one of welcoming service to you rather than one of burdensome expectations on you. 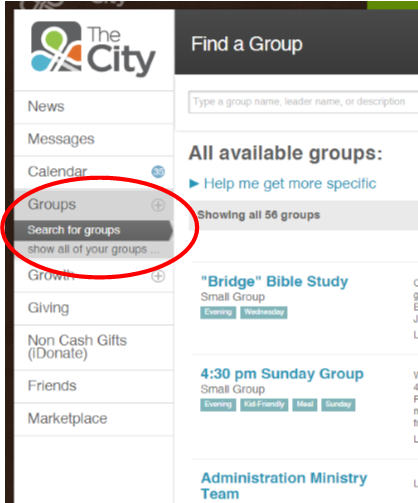 Everyone connected to our church family will have a small group (whether or not they decide to participate actively). Everyone will have their own unique group of ten or so old and new friends meeting together at times and for activities decided upon by the group with guidance from our leadership. These “Covenant Groups” as we are calling them will have an overseer/facilitator who is meeting regularly with me and with the other Covenant Group Leaders equipping himself or herself to provide effective support for you and your group. If you have signed up to be a part of Covenant’s online community called “The City” you will be able to search for a group using the Group Search Feature. Contact the Church Office at 775-746-8118. Our friendly office staff will be delighted to help you find a Covenant Group.